I like to research and experience cultural differences in digital marketing in general. This time let's take a closer look at cultural differences in social media. There are not only linguistic differences, otherwise you could simply translate everything, but there are also differences in behavior. So if you are a global player and you have a brand communication manual or a social guide, be aware there might be local differences necessary. Especially in social media, where there is direct contact with fans, customers and their friends, it is so important to communicate the right thing and to understand your audience so you can take the right conclusions. A while ago, I saw a presentation by Fons Trompenaars and in his presentation he described some real nice cases of different reactions in the world at the same dilemmas. Trompenaars used the dilemma of a car crash which is entirely your fault, but witnessed by your friend. How will you expect your friend to describe the event to the police? In many cultures they would expect the friend to tell a huge lie to protect your driving license. But in other countries this is out of the question. (Switzerland for example). Same problem. Different reactions. It is the same in social media. You have to understand these fundamental differences. It seems interesting to see if social media makes these differences smaller in the long term future. A company who has setup a global cross cultural intranet, highlighted a few areas with interesting differences in usage from the intranet between countries. I summarize these differences below with a few of my own additions from my personal experience. Just compare some designs from popular social platforms in the world. You will see major differences. 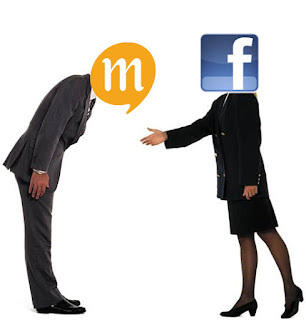 People are used to these major social platforms. If you just copy your local design this might not work. In Asia they are used to "icons" and images, like mixi uses in Japan. In the west we are much more text oriented for example. Twitter (and Google) have a minimalist look. The Chinese twitter has the opposite, a very busy look. It's obvious that everything has to be translated. But be aware for language subtleties. Google Translate is not always right. Be careful to use google translate and if you use an automated tool, make sure corrections can be made easily and also by users themselves. As I experienced myself as well, language has to be seen in a context. It is not enough to simply sent over a word file and let this to be translated by a translation agency. The people who translating a file related to digital marketing, need to have a context. And especially in social media, they also need to have affinity with social media. Otherwise you get wrong translations and as a result user frustrations. Google already taught us that websites have to respond fast. If they don't respond fast you can forget about a high ranking. Google does this for the user experience. People do not want to use slow websites. Don't forget if you go abroad that in some parts of the world, the internet connection speed can be much faster. Korea has the fastest internet connections. Your website has to load quickly. If you have servers in the USA, only a few milliseconds delay might give frustration to the user in Korea. In the west, we like to use a picture of ourselves as a profile picture. In Japan and Korea they discovered that people prefered to upload an avatar. 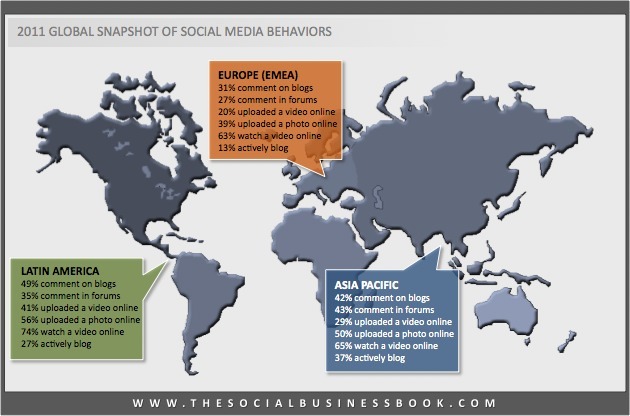 Examples of differences in behavior and usage of social media around the world. To get a few idea's of understanding the difficulties for developing a global social media strategy, I wrote down a few examples. Geert Hofstede's 5 Dimensions Model. When you want the best result in your international online campaigns, it is always good to understand at least the basics from Geert Hofstede's 5 D Model. In short, Geert Hofstedes model is about individualism and collectivism: what is more important, the group or the individual. At the internet there are countless articles about mr Hofstede's model and explanation. But his own website has an easy pull down menu, so you can check the values for the 5 dimensions for almost every country. I describe the 5 dimensions and the (possible) relation with social media. 1. Power distance: This dimension deals with the fact that all individuals in societies are not equal – it expresses the attitude of the culture towards these inequalities amongst us. Translated to social media, especially in B2B could be that the approach in countries with a high score at this factor needs to be very direct. Authority is very important. So if a CEO is active at the company's social media platform, this might be very powerful. While in countries with a low score at this dimension, it might work the opposite when a CEO is actively posting at the companies social media blog. People will start thinking "hasn't he something better to do"? 2. Individualism: In Individualist society's people are supposed to look after themselves and their direct family only. In Collectivist society's people belong to ‘in groups’ that take care of them in exchange for loyalty. Individualist cultures, are usually very direct in communication. Collectivist cultures, like Japan are not. A big difference in communicating and getting things done at social media. A simple example. 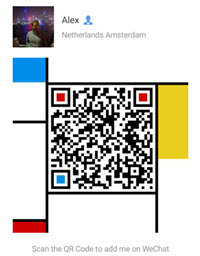 I was once walking with a Japanese person in Amsterdam. It was not warm, but also not cold. We were sightseeing. She said "I am cold". I said "well, it is not so cold, just a 15 minute's walk and then we are at the Heineken Experience". What I did not understand was that she wanted to go inside at the next pub or restaurant. She didn't care about the 15 minute walk. She wanted to drink something, go to the toilet etc. In the Dutch culture you say this directly. The Japanese culture is very different. By not understanding these small things you can have big discussions later :). So learn to read between these lines when you are analyzing your campaigns in countries with a low score at the individualism dimension. Social media might also change the score of countries at these dimensions. China scores about 20 at the IDV index. So pretty low. Meaning it is a collective society. 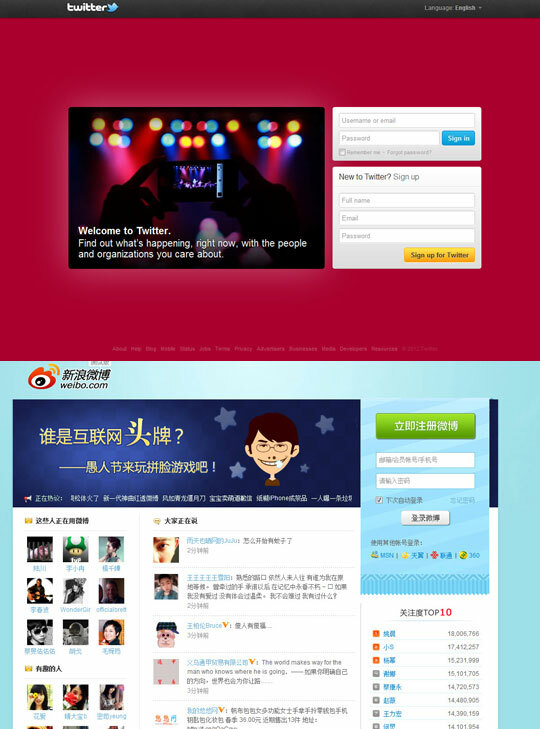 But as soon as you see the Sina Weibo page (Chinese Twitter) you will see profile updates all over the place. Also when you have not logged in. Meaning people from a group, you turn into an individual at this homepage, seen by everybody. I know Sina Weibo is partly so big because of the "group" facilities. But it is interesting to follow. 3. Masculinity / Femininity: A high score (masculine) on this dimension indicates that the society will be driven by competition, achievement and success. What is important in life? Being happy or always to compete and to have success? Is the man equal to the woman or not? Important to keep in mind, when creating campaigns. Is it the man who decides the purchase or the woman? In what aspect is the woman influencing the man and how can she do so by using social media? 4. Uncertainty avoidance: The dimension Uncertainty Avoidance has to do with the way that a society deals with the fact that the future can never be known: should we try to control the future or just let it happen? This ambiguity brings with it anxiety and different cultures have learnt to deal with this anxiety in different ways. A translation to social media, might be that countries who score high at the uncertainty avoidance, have a fear for privacy issues in the online world and they want to keep control of their data online. For example in Germany this is the case. Germany is really struggling with privacy control and is for example constantly arguing with Google about this issue. I can also imagine that in countries with a high score at this dimension you have to be very clear when you are building mobile apps or apps for facebook about what data you use and why you use it. Otherwise a lot of people might not use your app or only grant you permission to a small part of their data. 5. Long term orientation: Focuses on the degree the society embraces, or does not embrace, long-term devotion to traditional, forward thinking values. High Long-Term Orientation ranking indicates the country prescribes to the values of long-term commitments and respect for tradition. This is thought to support a strong work ethic where long-term rewards are expected as a result of today's hard work. However, business may take longer to develop in this society, particularly for an "outsider". A Low Long-Term Orientation ranking indicates the country does not reinforce the concept of long-term, traditional orientation. In this culture, change can occur more rapidly as long-term traditions and commitments do not become impediments to change. In social media this could mean that in long term orientation it is even more important who tells the message. People with a higher status are maybe even more of influence then in countries with a short term orientation. 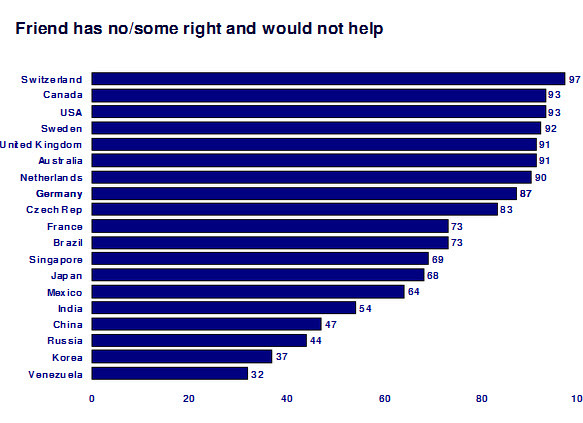 This can be a very powerful tool to use in these countries. But there might also be a difficulty. In the social web, there is often referred to "become a fan". In fact many online campaigns (especially in the west) aim for getting as much fans as possible in a short period of time. But this is in this model a long term orientation. So getting fans in countries that score high at this dimension, might be much more difficult then getting a fan in country's with a short term orientation. Where people click easily at "I like this". When going international with social media, of course, like always with social media, you have to listen to your users, but listening and analyzing is not enough, you have to understand the differences and read between the lines. Do a proper desk and field research. Use Geert Hofstedes 5 dimensions to understand the basic values of a country. You can't push everything from a central point of view. You can't push everything from a decentral point of view as well. You have to find a hybrid model. For your international social strategy, make sure you hire people who have strong cross cultural skills. It has to be someone who enjoys looking for differences in cultures and knows how to translate your brand or communication into local situations. It is enevitable to hire local professionals as well, especially the social media content managers. International social media is constantly changing and new networks appear and old ones disapear. Small things that might not seem important if you do not know the culture can break your campaign. Destroying a brand is easy; (Re) building a brand is extremely difficult. Like Fons Trompenaars said, people all over the world, react differently at the same dilemmas or questions. Always remember that. Create local content. Don't just copy paste. The strength of social media is in unique attracting content and engagement. So create local content, react at local news messages, share local stories etc. Truly said, not only this but the most important thing in working with international social media is always check the feedback of the clients and implement those suggestion in the products or services you are providing.